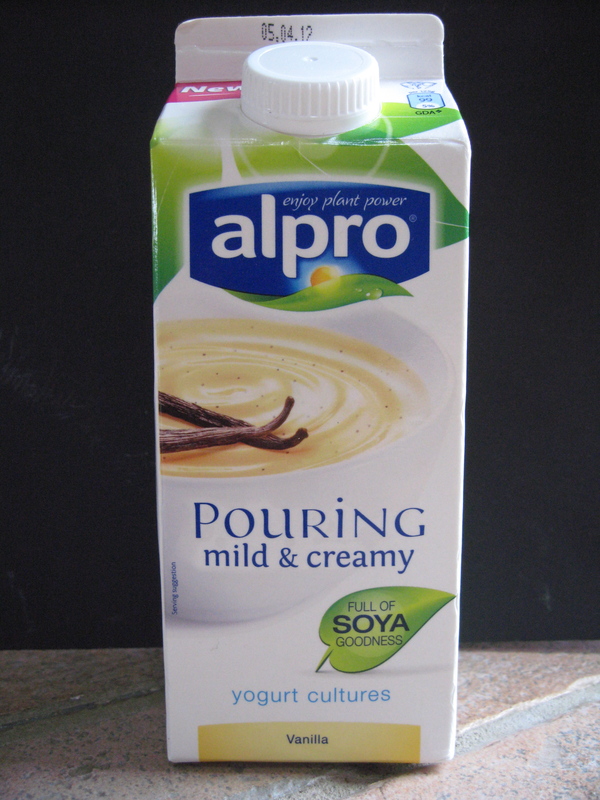 Yippee, at last a new Alpro Soya product hits the shelves (well, in Tesco’s at least). This pouring yogurt (seems like the ‘new’ idea in the yogurt world, but didn’t it just used to be called drinking yoghurt?!) is vanilla flavoured, smooth and just about pourable. My daughters loved it. It works well as a drink, on cereal/granola or combined with fruit to make a smoothie – Nice one Alpro!